President Trump’s proposed budget was unveiled earlier this week and it includes a $2 trillion math mistake. 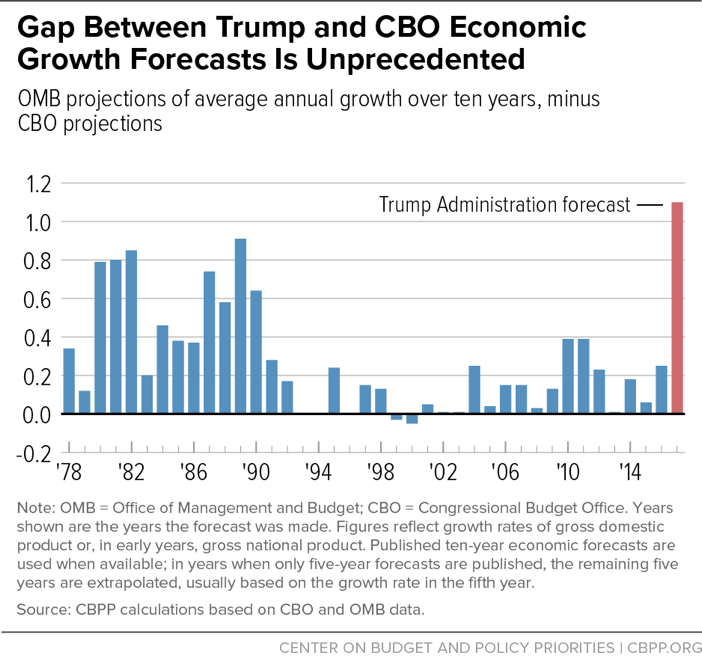 Due to the exaggerated growth assumption, Trump’s budget assumes a $2 trillion increase in revenue through economic growth that will balance the budget. However, the math does not add up as the Trump tax cut is also supposed to pay for the Trump tax cuts. So the $2 trillion is a double-counting error. In other words, the assumed $2 trillion from higher growth is a double-count as it pays for the Trump tax cuts, and then it pays again for balancing the budget. Overall, it is clear that Congress must step up and craft a budget that actually adds up and is grounded in serving all of the American people.